Toyota could be on the verge of issuing its second recall in a week following reports that more than 100 owers in the United States have experienced problems with the car's brakes. 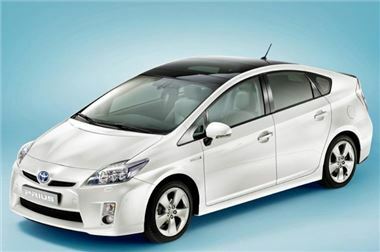 In a statement, Toyota said: "Toyota GB PLC can confirm that there have been no reported problems in the UK or Europe with the braking performance of the current, third-generation Prius, since its launch in August 2009. Toyota Motor Corporation (TMC) today issued the following statement following reports of problems received by its dealers in Japan and North America. As TMC is in the process of confirming the contents of such notifications and is investigating the performance of the Prius as related to the complaints, it would be premature to comment at this time." Earlier in the day the US Transportation Secretary, Ray LaHood, urged owners of the Toyota affected by the recall not to drive until the problem was fixed: “Stop driving it and take it to a Toyota dealer.” He later retracted the statement, claiming it was a 'misstatement'. Toyota confirmed that 180,865 cars will be recalled in the UK and the firm will be in a position to start making the modifications from 10 February. The work should take around 30 minutes. For more Toyota recal questions and answers, click here.